These are the fun St Patrick's Day drink recipes you've been waiting for. Kids of all ages will love the Chocolate Mint Milk beverage made using crushed Oreo® cookies, and the foamy green Shamrock Punch looks almost too good to drink. Refreshing non alcoholic drinks that will be a hit at any party or get-together. 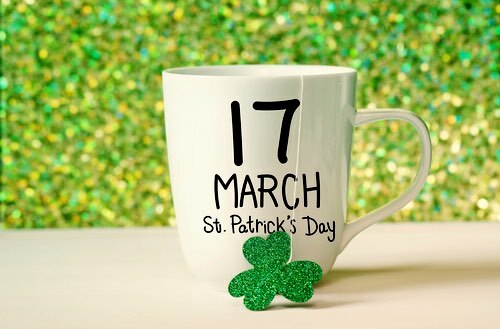 Meanwhile, the grownups can toast Saint Patrick's Day thanks to an Irish Cream Drink recipe. Imagine the rich, silky smooth taste of Baileys® blended with Irish coffee, and topped with a layer of heavy cream. Nothing is more Irish than Baileys®, and this spirited beverage recipe makes a drink that's fabulous. You'll also enjoy trying the Irish Coffee Cooler. It's a festively frothy drink that blends the rich taste of a traditional Irish Coffee with your favorite coffee creamer and then tops it off with a generous dollop of sweetened whipped cream. It's so good tasting! Believe me, you'll love it! Pour 1 cup of milk into 4 tall glasses. Stir 2 tablespoons of the pudding powder into each glass until completely dissolved. 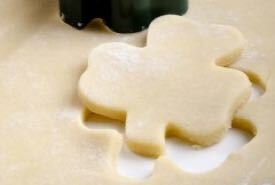 Place 1/4 of the finely crushed cookies into each glass. To crush the cookies, first place them in a freezer bag that seals tightly. Use the bottom of a glass to crush the cookies as small as you like. Regular chocolate sandwich cookies or chocolate Oreo® cookies can be used instead of the mint cookies. Pour the limeade concentrate into a large punch bowl. Add the sherbet and stir until smooth and well combined. Pour the soda into the mixture and stir to combine. Finally, gently stir in the crushed ice just before serving. This colorful punch has pretty green foam that covers the top. This is a very refreshing punch to serve at your St Patrick's Day celebration. This shamrock punch recipe makes twelve servings. Pour the hot coffee into a 6 ounce mug. Add the brown sugar and stir being sure the sugar is completely dissolved. 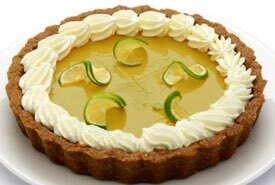 (The dissolved sugar is necessary for floating the liquid cream on top.) Pour the Irish whisky and the Irish Cream into the mug and stir to combine. Float the heavy cream on the top of the beverage. Drink the coffee through the layer of cream. To float the heavy cream properly, hold a teaspoon upside down just above the surface of the coffee, and gently pour the cream over the spoon onto the coffee. This will cause the cream to float on top of the coffee and there is no need to whip it. This St Patrick's Day drink recipe makes one delicious serving. Your favorite black coffee or espresso can be substituted for the Irish coffee if you prefer a NON alcoholic beverage. Make this Irish coffee by completely dissolving 1 teaspoonful of brown sugar in 6 ounces of hot freshly brewed coffee and adding 1 ounce of your favorite Irish whisky. 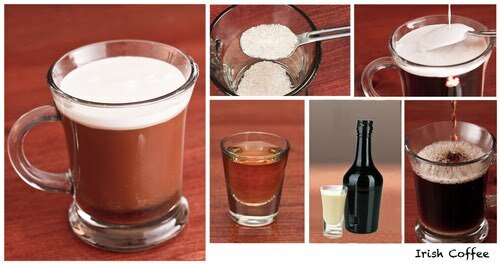 Let the Irish coffee cool, then pour it into the blender and add the flavored coffee creamer and sugar. Top it with the ice cubes. Blend until the ice is crushed and the mixture is frothy. Pour into a tall glass and top with fresh, sweetened whipped cream. 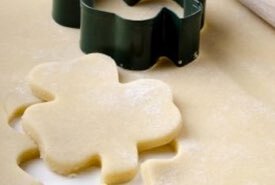 Lightly sprinkle with shamrock-green candy sprinkles. This St Patrick's Day drink recipe makes a single serving. For anyone unfamiliar with Baileys®, it's 50% dairy-fresh cream mixed with the finest Irish whisky. The whisky alone preserves the cream and gives it its long shelf life, opened or unopened. An added unique blend of cocoa and vanilla compliments and completes the authentic Baileys® taste.